Folic acid (vitamin B9) has long been used as a supplement for women during pregnancy to prevent serious birth defects called neural tube defects (NTDs) when the baby’s spinal cord and brain are in its developmental stages. NTDs are thought to happen at the very first stages of the baby’s development, and even before the women learn they are pregnant. In the U.S., NTDs will affect around 3,000 pregnancies each year. Studies have also found that rates of autism spectrum disorder (ASD) increase in children when mothers didn’t take folic acid supplement. A study published in the Journal of the American Medical Association in 2013 found the risk of ASD dropped by about 40% in children when their mothers took prenatal folic acid supplementation. Now you can add carnitine to that list of supplements that may reduce the risk of ASD, according to new research published in the journal Cell Reports. L-carnitine is an amino acid known mostly as a fat loss supplement during aerobic and anaerobic exercise. It is also used for other health conditions such as high cholesterol, heart attacks, and congestive heart failure. Carnitine is required for transporting fatty acids into the mitochondria for energy production. The body will either manufacture carnitine or obtain it from the diet. Previous studies have shown that inherited mutations in the gene called TMLHE is linked with a risk of developing ASD. TMLHE is required for the biosynthesis of carnitine. Texas A&M University researchers found that genetic defects in the body’s ability to make carnitine may be linked with an increase in autism risk. Carnitine deficiency inhibits with the normal process where neural stem cells contribute the brain development of the fetus and embryo. The study’s lead author is Zhigang Xie, an assistant researcher at the Texas A&M Health Science Center College of Medicine. Xie has created a new technology that allows him to identify, track, and examine a single neural stem cell in a real brain that is in development. Neural stem cells are otherwise difficult to study in a nature environment. The research team found that neural stem cells that don’t make carnitine will not behave properly. Carnitine is then wrongly depleted from the developing brain. That being said, when neural stem cells that are genetically at-risk are then supplied with carnitine from a supplemental source, these problems don’t occur. The autism-linked TMLHE gene will then encode an enzyme the body needs to make carnitine. Autism risk mutations will inactivate the TMLHE gene, and the neural stem cells become less efficient at self-renewal when the body cannot produce carnitine or it doesn’t get supplementation. Neural stem cells will divide, and produce two daughter cells. One will differentiate, and the other will stay a neural stem cell. When a neural stem cell has carnitine deficiency, they will produce two differentiated cells when they divide, which fails to provide the developing brain with an adequate supply of neural stem cells. A high amount of carnitine is found in red meat and whole milk. 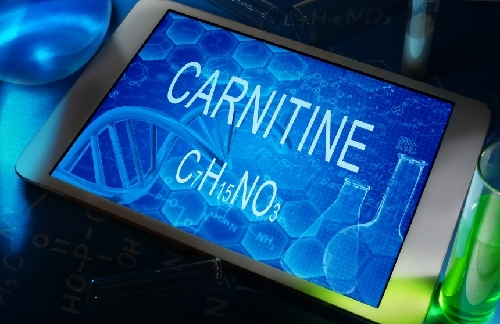 Women that don’t ingest enough carnitine may be putting their unborn baby at risk of ASD. Pregnant women that do eat enough carnitine sources likely will not put their babies at risk. A possible step for ASD prevention is to test future mothers for TMLHE mutations before they get pregnant. If a prospective mother has the TMLHE autism risk gene than L-carnitine supplementation before and during pregnancy would help supply the embryo and fetus to offset the genetic defect. The researchers would note that the prevention strategy will not help all ASD cases, as other genes may also relate to autism risk. However, the researchers believe the discovery is significant, and added that TMLHE mutations are actually quite common for the human population. “Can A Nutritional Strategy Reduce Autism Risk?,” Today, January 29,2016. http://today.tamu.edu/2016/01/29/can-a-nutritional-strategy-reduce-autism-risk/.